In a year when an Olympic Torch hand off happened at the international space station, Christian Wiman stepped down as long time editor of Poetry, and the world lost Seamus Heaney, the persistent and powerful work of a Maryland literary magazine might seem insignificant. Consistently, some might say quietly, Little Patuxent Review has published an excellent and diverse group of authors who weren’t afraid to confront themes important to society at the local level. And while that is noteworthy, to do so amidst the economic realities of a massive recession and slow burn recovery while remaining a print journal – well I am tempted to call that an act of courage. Tempted, yes, but recalling an essay by Louise Glück, writing is less an act of courage and more a state of grace. For LPR I know that grace is derived from a dedicated staff of editors, a forward thinking set of publishers, and a faithful community of readers. Here is an example of how a literary magazine, when it remains close to its community, when it is willing to challenge, doubt, and audaciously make believe with its readers and authors, can become a necessary stitch in the seams of imagination which reveal a region, a city, and a neighborhood. Among that needlework, I must mention the extraordinary efforts of Laura Shovan, whose diligence and creativity as editor help to grow LPR’s presence in the region, and craft an inclusive identity for the magazine. I am both honored and humbled to continue such important work as the next editor of Little Patuxent Review. Steinbeck explains in East of Eden, “You can boast about anything if it’s all you have. Maybe the less you have, the more you are required to boast,” so let me offer a boast of failure. 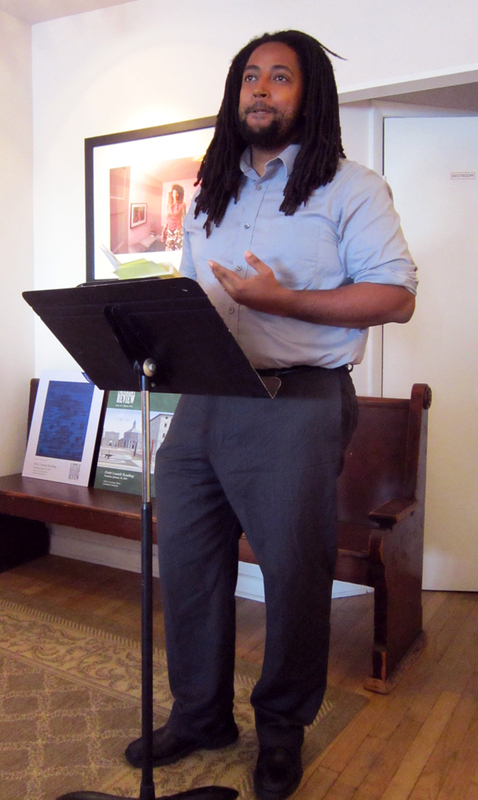 In my first year of my MFA, which should have been labeled the year to, “Shut up and listen,” I was determined to prove that I belonged in grad school and deserved to call myself a poet. That first week of classes was like being in a foreign country. Simultaneously I felt ashamed of my inability to “speak the language” of a workshop (I studied theater and acting as an undergrad), and eager to demonstrate what little I did know. One evening I invited a classmate to my home for drinks and high-minded conversation, and in a moment of inspiration, though in retrospect it seems more like “party anxiety,” I spread all my books of poetry across the living room floor, called my friend, and said, “When you get here, let’s just pick a book off the floor, flip to a page, take a drink and read a poem.” Almost sounds like a precursor to literary beer pong. My friend thought the idea sounded fine as long as I paid for the drinks, but when he arrived and saw my magnanimous spread of verse, he cleared his throat politely and remarked, “This all you got?” There couldn’t have been more than six or seven books on the floor. Big failure? Check! Later when I visited my friend’s apartment and saw the multiple bookcases dedicated to poetry I understood his incredulity. I mention this anecdote, not because it’s the only story of failure I have, God knows there is an abundance of stories, but because it was a moment of failure where I feel I learned the right lesson. I responded to that evening by doubling my home library, diversifying my reading of poetry and fiction, and resolving to listen well to the group of emerging writers and seasoned teachers I found myself among. In other words, I learned the importance of stepping back and listening as method of becoming fully present in a community. I recognize this value as a part of Little Patuxent Review’s DNA, and believe it must remain a key part of the magazine’s posture in selecting great work to publish. 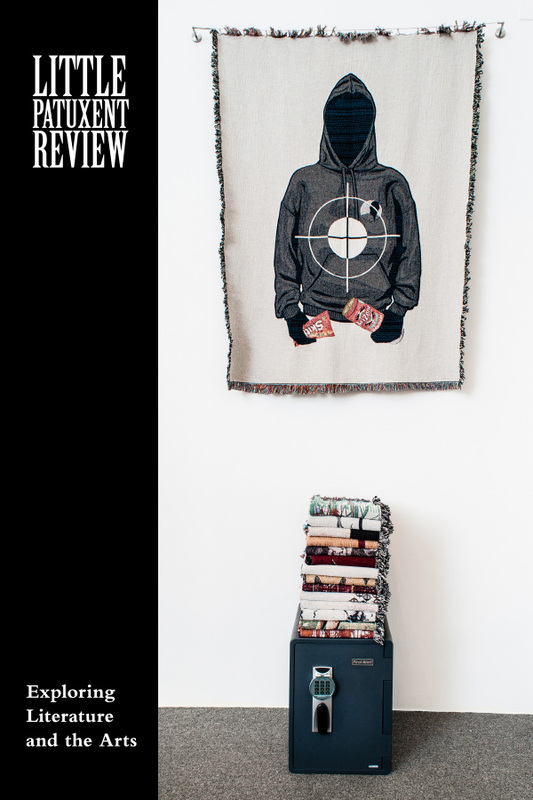 From its inception LPR’s selection process has involved a thematic element for each issue. As a young writer, I was often weary and wary of themed issues in literary journals. I suppose my reasons were the obvious ones: artistic restraint, an anti-authoritarian streak, and a presumption that themes are ultimately boring. After all, an intentionally thematic issue, while acting as an efficient organizing structure, can exert a certain hegemonic pressure. Simple objections made, for sure, but simple-minded as well. Perhaps it’s the height of myopia to evaluate a literary magazine based on the boundaries of a single issue. I couldn’t see how a journal could tell a story; have a conversation with its readers over a sequence of issues. Consider Little Patuxent Review’s most recent sequence of themes: Make Believe, Social Justice, Audacity, Doubt, and Music. What a journey to take a community of readers through. It brings to mind the words of Poet-Teacher Richard Hugo, in his essay Writing Off the Subject, that all truth conforms to music. I’ve learned to not balk at the word conform, and notice small mysteries in the sequence of themes. Is this one arc in the collective thinking of a community? Do people begin in imagination (Make Believe) and then bend toward activism (Social Justice)? Does activism natural give way to bold action (Audacity), before ultimately arriving in Doubt? Do the questions raised by a healthy doubt resolve in beauty (Music)? I feel I’ve wandered dangerously close to Keats in the last question—beauty is truth—but creating such collages in the imagination is what makes literature fun for me. Such themes frame discourse that is already occurring, and make room for people to enter the dialogue. 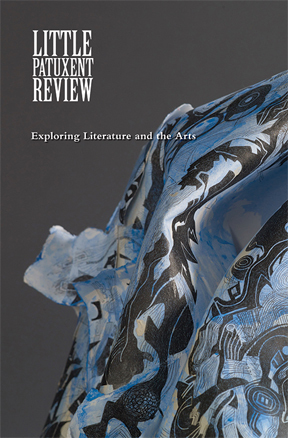 A literary magazine is solitary pleasure blended with “call and response” engagement. And in the myriad responses lie the opportunities for growth. It is a deep joy to help create the collage and to invite others to do the same. It is an awesome responsibility to step back and listen to a community’s voice, heartbeat, and imagination. Courage is required, but I hope for more grace in the way I listen, read, and publish. LPR and the community it serves is worthy of nothing less. This entry was posted in Essay and tagged John Keats, John Steinbeck, Laura Shovan, Louise Glück, Richard Hugo, Seamus Heaney, Steven Leyva, theme. Bookmark the permalink. 1913 Italian Town Hall Massacre- Calumet Mich. Please apply to 2 thousand, 2 thousand thirteen? The Italian Hall fire is not “so long ago”. As workers are down pressed as Bob Marley would say! That nothing has changed from then to today! Hold hands w the congress and scabs all the way. Until there is no choice for letter writing..
Sabatoge and fight back should be the right thing! I love your work and your powerful ability to present it. I know you will be a grand addition to the roster to fine LPR editors. I am enjoying the several voices of your new book, and that fact assures me you will be attuned to the many voices of the submitters to LPR. Re. your comments on the chronological “coincidences”: poets Michael Egan, Siv Cedering Fox, and I were among the poets who were born the year Yeats died. MIchael and Siv carried the torch much better than I, but it has always been an inspiring fact. Steven is the right creative editor at the right creative time in LPR’s brief history. He has as companions in this literary endeavor–poetry, fiction, non-fiction, design, copy, multi-media and contributing editors along with a brilliant art consultant– an array of gifted talent that any literary/art journal would envy. The journey ahead is filled with great promise for present and future readers of LPR.